I know so many human beings who KNOW how everything in the near and distant future is going to go. They know the details. They know when things will happen, how they will happen, who will cause them to happen, why they need to happen and how they are going to come out smelling like a rose. (I hate that smell). These are the Bible literalists and fundamentalists who read the Bible and especially what they perceive as Bible prophecy as one would read the news paper or a daily news blog. They see the names of ancient lands as the old name for current world powers. Gog and Magog are the Russians, to some. Ephraim and Manasseh are the United Kingdom and America to others. There are the Kings of the North and Kings of the South in Daniel who they just know are this or that, it keeps changing, country in the Middle East. Europe is "clearly" spoken of in Bible prophecy as is China and parts of Antarctica. Ok, I just made that up. Israel is the Bible God's chosen country and of course people but Palestinians not so much. Genetically, they are identical however. Canaanites all. Not only do they know which countries are mentioned in Bible prophecy for today, which to them is the end of all time that must shortly come to pass, but some see themselves written into the pages of the Bible. Yep they do! I know the Two Witnesses of Revelation, The Watcher over the world for God, True prophets that live right now on this planet and you can send for their booklets explaining it all, and a whole array of Apostles and True Evangelists. Each heads up the true church and most hate each other and scoff at their rival insights and predictions. To date, 100% of them have been 100% wrong 100% of the time. Here are some charmers and insights of a Pastor Ron Weinland, who has boldly proclaimed himself one of the Two Witnesses of Revelation 11. His wife, conveniently, has been declared the other witness. I knew Ron personally when a pastor myself. Obviously, I have outgrown it and had to move on or live a rather dishonest life promoting what I no longer saw as true. Mr. Weinland, on the other hand, went on to see himself clearly prophesied in the pages of the Book of Revelation. His rivals in prophecy also tend towards the same delusions. As far as prophecy is concerned beginning in mid April this year we begin a period of what is known as 1260 days, and that’s 3½ years. A lot of people refer to it as the 3½ year period of a great tribulation that’s going to be on this earth. And that’s exactly where we are in time. A few years ago God made it clear to me that I was a prophet. That time when he first began to reveal that to me I believed that I was a prophet by what’s referred to in Scripture as interpretationally, in other words being able to interpret prophesies and know the meaning. And there were a lot of things that began to be given concerning the end time. I am not at ease fully with this yet. God is teaching me things as we go along here. I cannot imagine saying certain things that are going to be responsible for the death of people. But yet again I can, because there are certain things going to take place where God is going to intervene and destroy millions, literally hundreds, a few hundred million right there at the very end and on the very last day before Jesus Christ returns. Oftentimes people ask me the question of whether or not I feel that I’m wrong, or ‘What if?’ They keep asking, ‘What if? What if?’ How can I answer that? To me there is no ‘What if?’ It is. It is what it is. And there is no doubt in my mind, as sure as the sun’s coming up in the morning, and it’s going down this evening, this afternoon. That’s just the way it is, it’s that clear, it’s that absolute. There is no altering of anything. This is how Mr. Weinland, Witness One of Two, sees himself. I might add that over the past couple of years, he has modified his mistakes in such ways as to blame those who listen to him for misunderstanding and taking him too literally. Mr. Weinland's greatest, self hanging quote of all time came last year when the beginning of the Trumpets of Revelation were upon us. That was six months ago. He was wrong, as are all to date and yet he did not step down and recently now in November of 2008 made it clear, in the above interview, he was still a prophet. No biggie. He just failed to use the adjective "False." There is plenty of time. Why do we do this or allow ourselves to have others do this to us? There is a lot of money and ego pumping fame in pretending to know the mind of God and what is about to happen. Even the Apostle Paul used such terms to motivate the faithful in the New Testatment. He told the Church that "time was short," and that the end was closer than when they all first came upon the truth he had for them. One can see the evolution of Paul's dissapointment and need to grow up. Later in the New Testament he says time is still short, but that he fought the good fight and now was going to die. Previous to this, he had declared that "we who are alive and remain will be caught up together in the clouds with the Lord," yet some others, not him, would die before Jesus returned. He was wrong too. Even later, those who dared ask, "where is Jesus," were labeled scoffers and part of the problem and that God doesn't see time as we mere humans do. "A day with God is as a thousand years and a thousand years is as a day." All this to not admit that the human leaders under God and Jesus were wrong. Blame the people and never apologize for being wrong. Never let 'em see you sweat I guess still applies. In the Weinland interview, it was the psychologist, not the Theologian, who nailed the reasons why we have this need to think we can know the future. I'll let her speak for herself. She never comments until late in the interview, but must have felt she was in a session with a delusional patient. "Now many things are not predictable. The world is a very uncertain place. People change their jobs, organisations fold, collapse, you know, There is no guarantee in anything any more…Global threats like war, climate change certainly create anxiety too because the future is no longer guaranteed….…that sort of unpredictability and uncertainty creates a lot of anxiety, and anxiety is often a precursor to depression.Unresolved anxiety sets people up for depression, because you can then feel despondent that well there actually isn’t anything I can do. Because climate change is out of my hands, terrorism is out of my hands… So that can lead to what’s called catastrophic thinking, that imagining the worst scenario of what might happen and then believing that that’s what will happen." "Apocalyptic thinking can be very useful to people who need to feel a sense of control, and that they therefore feel calm because they know what’s going to happen. Living with uncertainty, living with a question mark is the hardest thing to do for all human beings. We like to know what’s going to happen. That’s why we visit clairvoyants and you know we have our tarots read and all sorts of things…." "There are massive risks when someone has extreme delusional thinking. There are risks to the individual. And there are obviously dangers to other people and that can be hundreds or thousands of other people, when someone is totally controlled by their delusional thinking. And you know we have lots of examples of that in our history." Finally, the interview concluded with this observation. "Stories about the end will always appeal to human beings and that is part of our psychology. 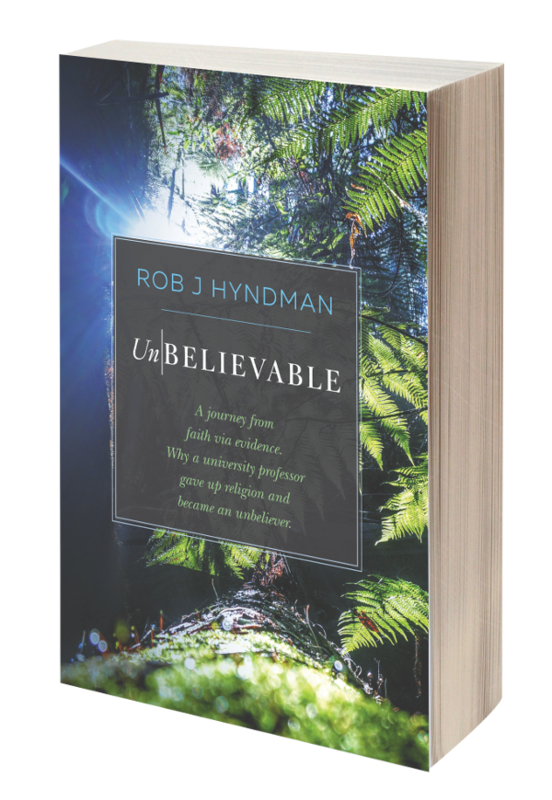 What I hope people will do is sort out the truth from the fiction and recognise what we can understand from the bible about God’s view for this world and not tip over into paranoia or confusion or fear, which often has terrible social consequences." Our world, its politic and certainly its religious views are infested with this kind of need to think we can see the future. The Bible is a record of humans believing and writing to relieve the angst that comes with not knowing. Yet, we don't know. We can't know. And I'd like to think that it's not all layed out like a play where all we ever did was show up and act out predetermined lives with no personal responsibility to change or accept things as they are. The world of religion is full of humans who should resign as Master Seer's for God because they are not and many innocent yet naive people get drawn to them to their harm. **I would say that Weinland must have never read II Pet.1:20-"No prophecy of the Scripture is for any private interpretation"
"I would say that Weinland must have never read II Pet.1:20-"No prophecy of the Scripture is for any private interpretation"
I always had a problem with that statment in Peter since what would constitute prophecy of scripture that WAS NOT of any private interpretation? What does that mean? They are ALL someone's private understanding and interpretation. Unless this means, as well it could by the time this pseudopigraphic book called "Peter" was written, the Church determines what is not private interpretation. Of course this is also a howler. There are no not private interpretations of propecy or scripture. Unless there are special people set aside to define the scripture and we all know how well that works. Yes, it's the old "secret decoder ring" idea. Since the scripture were written by inspiration of the holy spirit, it takes the holy spirit to interpret them. Too bad no one has that secret decoder ring of the holy spirit (even though millions claim they do). They really don't though, because if they did, they'd all believe the same things. Having prohets (false) like Weinland, it is no wonder people have lost faith in Christianity. People don't believe because there are so many twisted opinions. It is true that scripture can be interpreted personally, but it is the basic fundamentals that we all believe. That fact that there is personal interpretation refects the fact that God is a personal God. He addresses people on an individual basis. Kind of like reaching out to people where they are at. That is often why the same scripture may have the appearance of having a different meaning to suit the person and/or circumstances. As for Weinland, Paul refers to delusional people in Titus 4 as following doctrines of demons and having their conscience seared with a hot iron. It is the not the scripture that is wrong, it is that the interpreter has fried brains. 20Above all, you must understand that no prophecy of Scripture came about by the prophet's own interpretation. 21For prophecy never had its origin in the will of man, but men spoke from God as they were carried along by the Holy Spirit. Well, it's a good thing Pegassus, Uranus and some of the other pagan gods didn't have prophecies associated with them, or we'd have all of that to contend with in addition to the ACOG false prophets. "Well, it's a good thing Pegassus, Uranus and some of the other pagan gods..."
Ummm, Pegassus was a horse and Uranus is a planet. All gods are of pagan origin actually. Pagan as opposed to Israelite I suppose we mean, which also drew on pagan gods in their evolving texts. The NIV is a better translation I suppose, but the concept is still disturbing as it requires one believe "no, this is really not made up in my head...It comes by God through the Holy Spirit which, of course, flows through me." It still seems to require a delusional individual who hears the voice of God in his head and then says he has nothing to do with it and it's from God himself. This of course leaves the burden of belief on others. It also lets the speaker off the hook should, as it has proven to be in so many OT prophecies, he be wrong. Prophecy will be what finally kills Christianity. The writers of the NT put an expiration date on the faith...that clock has been ticking for almost 2000 years since the first failure of the end time to occur. Fewer and fewer people are falling for it. Regardless of our differences in opinion, I would like to compliment and thank you for allowing dissenting views on your blog. As someone noted elsewhere, such freedom allows for full exploration of fascinating topics. It is also indicative of your security in your own intellect. Thank you for not disfellowshipping me! "Well, it's a good thing Pegassus, Uranus and some of the other pagan gods didn't have prophecies associated with them, or we'd have all of that to contend with in addition to the ACOG false prophets." You're forgetting the fact that "Jesus" was actually Horus, Bob. As for your not-so-subtle little dig towards me, well, that just reflects your own character, not mine. Dig? Hey, Corky and I met and have had many exchanges over a period of years, starting on another forum. The moderator over there was given to micro-moderation, and we were always walking on eggs, posting under the mental duress that we might be banned. We got threatened all the time. Corky is a good even handed moderator. I just thought he'd get a good chuckle remembering the bad old days under MM before the revolution. You saw yourself in that??? Yeah Bob, that micro-moderation was a pain. While I agreed with his unbelief, I sure didn't agree with his attacking folks for having other opinions and running them away from the forum. I still hang out there but the republican apologists there are still a pain to me. The bible to me is not the word of God but is the story of humans reaching for God - In my opinion it's grasping at straws, but whatever gives one hope I suppose is a good thing, especially if it's away from Armstrongism. Corky, you certainly know your Bible as well as anyone I've ever met. Do you know whatever happened to our "friend"? He seems to have disappeared from the radar. Oddly enough, his mom had just started posting on the pre-revision (not the final version) Shadows Forum right before it shut down. Ron and Laura Weinland’s 1260 day ministry foretold in the Book of Revelation begins 12/14/08! The Great Tribulation is upon us! The Two Witnesses of Revelation’s ministry is to the whole world – warning, condemning and punishing with the power God has granted them. Ron and Laura have a big job to do! This is no time to keep one’s light under a basket. No, indeed! The eyes of the world and the glorious hosts of heaven – and the Grand Host of Heaven himself will be watching! Johnny Harrell, the PR person for the Two Witnesses of Revelation, has his work cut out. Since the ministry has a message that needs to be delivered to the whole world, I have some suggestions I hope will be helpful. 1. Oprah – Yep, that’s right, Oprah. Where better to kick of this ministry? She’d probably agree to multiple shows. I suspect this would happen rather easily since Ron and Laura will both be imbued with God’s power. What a stage to announce and perform powerful acts and harsh judgments! 2. Late night and morning talk shows – Undoubtedly, there’s a wide audienced here. Interviews with Matt Lauer, Harry Reasoner, etc. could keep everyone up to date on the fulfillment of Ron's prophecies. For actual physical events, news crews could be dispatched to report - especially for any doubters. This seems like a no brainer to me. 3. Barbra Walters – Need I say more? 4. Specials – Undoubtedly, as Ron’s prophecies and his powerful works begin to be noticed there will be an opportunity for special TV shows. I imagine by this time cable and network executives will actively be seeking out The Two Witnesses. Ron, its time to let your God given light shine!